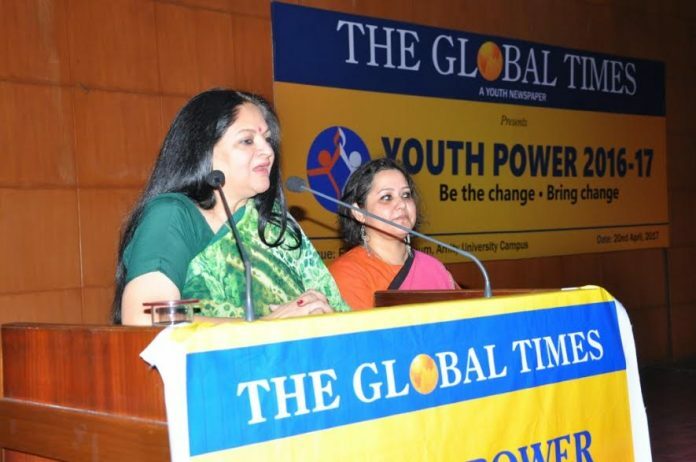 New Delhi: Youth Power, an initiative of Dr (Mrs) Amita Chauhan, Chairperson, Amity Group of Schools, to provide a platform to the students of Amity International Schools to pick up cudgels for a social cause, came to a close with a grand finale today at Amity University Sector 125, Noida. The programme, organized under the aegis of The Global Times, Amity’s youth newspaper, aimed at creating awareness on different social causes. Organised for the ninth year, the programme saw all ten branches of Amity International Schools from Delhi/NCR and UP work around issues as Vaccination, Diabetes, Education for all, Plastic untick, Disability inclusion, Air pollution, Save Water, Mosquito eradication, Universal health and animal care and rights. The year long programme that commenced in July 2016 concluded with the grand finale wherein the teams shared their journey with the audience. The eminent jury members who adjudged the teams included Ms. Charuleka Khandelwal, Developmental Therapist, AADI; Ms Anupama Pandey, Specialist Documentation & Communication, Mission Swaraj, NCT Govt. of Delhi and Ms. Neevita Narayan, Chief Audiologist and Director of Sphear Speech and Hearing Clinic. Amity International School, Gurgaon 43 team bagged the title for Youth Envoy 2016-17 followed by Amity International School Gurgaon 46 bagging the second position. The third position was shared by Amity International School Noida and Amity International School Vasundhara 6. Awards were given away for various rounds. The Best Research Strategy was won by AIS Lucknow; Best Community Outreach was grabbed by AIS 46, Best Awareness Movie was bagged by AIS Pushp Vihar; Best Fund Raising Model was bagged by AIS Vasundhara 1; Best Creative Communication was grabbed by AIS Vasundhara 6; Best Social Implementation was won by AIS Mayur Vihar; Best Social Media Engagement was grabbed by AIS Gurgaon 43, Best Panel Discussion was won by AIS Saket, Jury Special mention award was bagged by AIS Pushp Vihar and Best Documentation was bagged by AIS Jagdishpur. The award for the Best Mentor Teacher was won by Ms. Sanyukta Priya, AIS Noida. 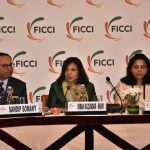 Congratulating everyone for the good work done for a year, Dr (Mrs) Amita Chauhan, Chairperson, Amity Group of Schools & RBEF, said that the students were leaders of today and not tomorrow, considering the initiatives they had taken up. She added that it gives her immense satisfaction seeing such social endeavours taken up by students that ensure that the nation will have a bright future. Programme Head and Managing Editor of The Global Times newspaper, Ms Vira Sharma shared that the programme now in its ninth year has successfully trained over 500 ethical leaders and sensitized over 50,000 students towards different social issues, thereby empowering them with compassion and leadership skills to be the change and bring change.